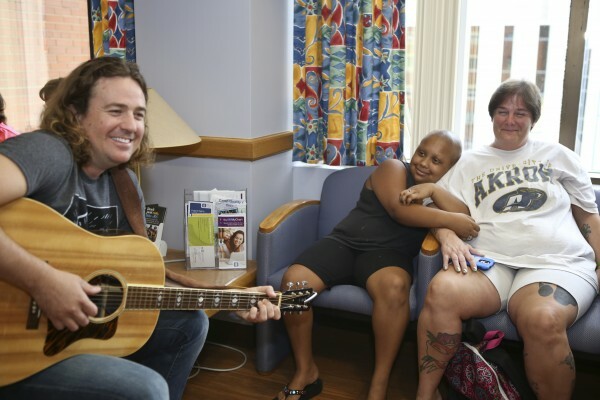 Brother Trouble played an impromptu concert for patients in our cancer and blood disorders clinic. What originally began in 2003 as a golf outing to raise awareness for Akron Children’s Hospital has raised more than $500,000 for our Showers Family Center for Childhood Cancer and Blood Disorders. 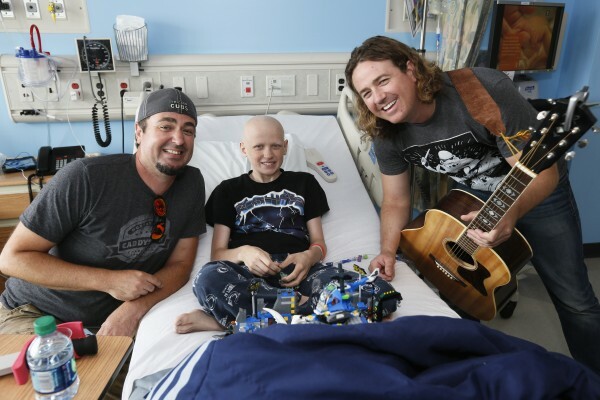 Now in its 13th year, the annual LOPen charity event, created by Phil Lopez and Brad Croce, once again featured live concerts and a golf outing to benefit the cancer center. 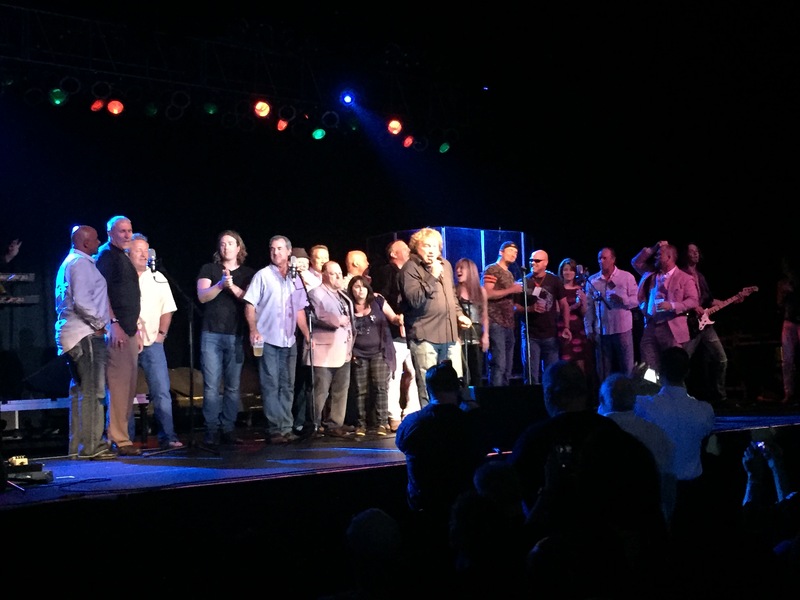 Take a look back at some of the highlights from this year’s LOPen on June 18-20, which once again featured celebrity visits for our cancer patients and memorable live performances at the Hard Rock Rocksino in Northfield. Brother Trouble members Jason, left, and Mark, right, hung out with Metallica fan Parker, a patient at the Showers Center. Showers Center patient Noah and Host of WWE’s “Monday Night RAW” Lilian Garcia bulked up and flexed their muscles for the camera. Lou Gramm, former lead singer of Foreigner, performed in front of a packed house at the Hardrock Rocksino.